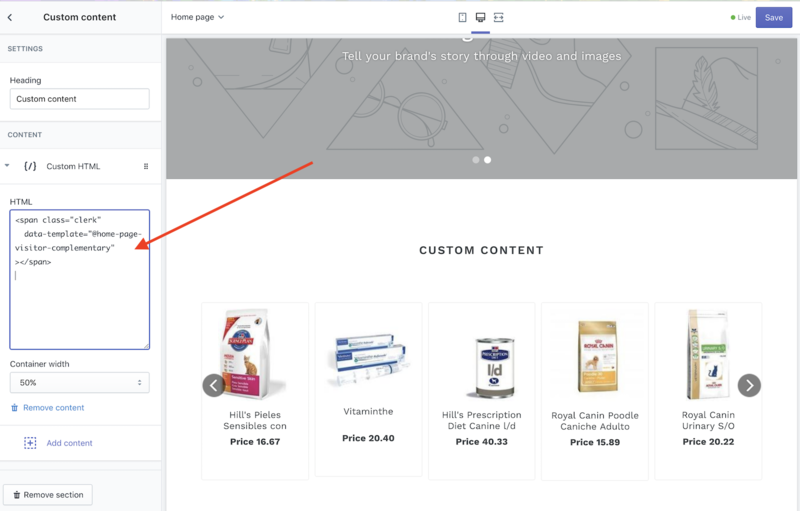 In Shopify, you can insert Sections to the frontpage, which can be used to insert custom HTML, like the embedcodes associated to Website Content. 1. 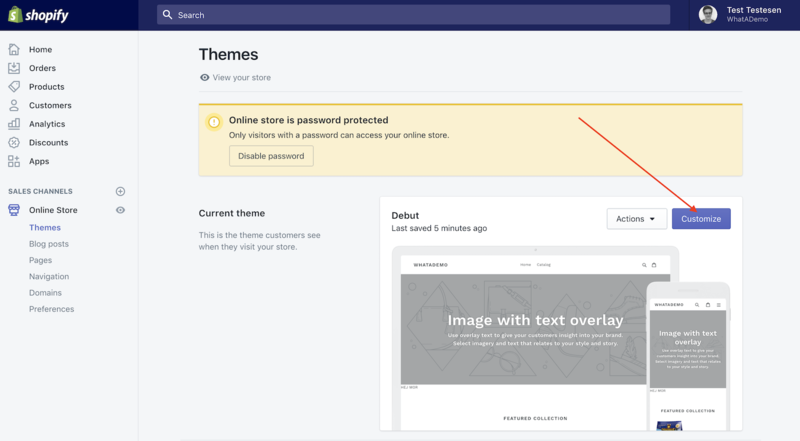 Go to Online Store -> Themes -> Customize. 3. Click Custom Content -> Add. 4. 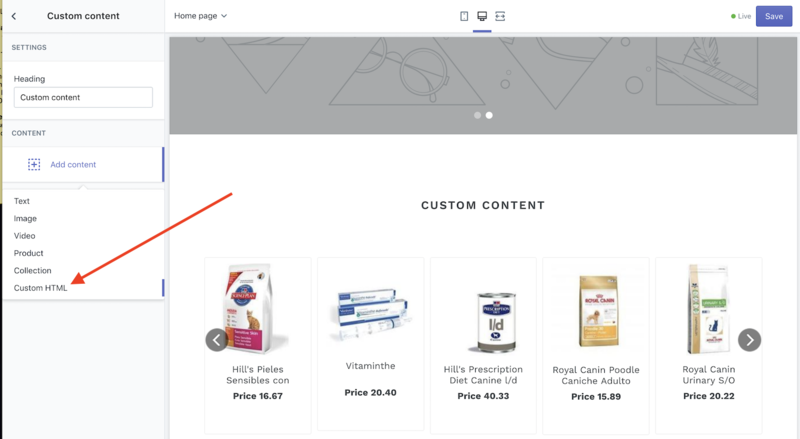 Remove any existing content from the new block, and click Add Content -> Custom HTML. 5. Insert the embedcode(s) you want to the HTML box. 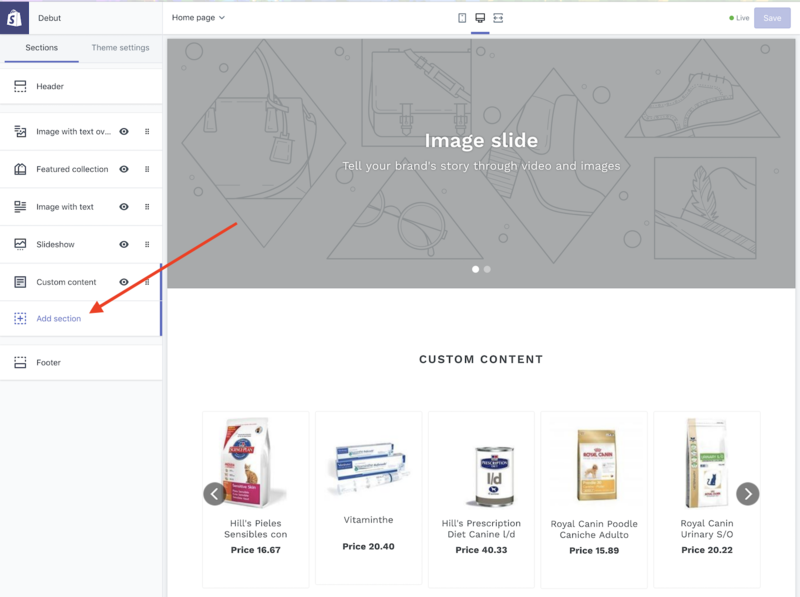 This is an easy way to get sliders on your frontpage in Shopify.